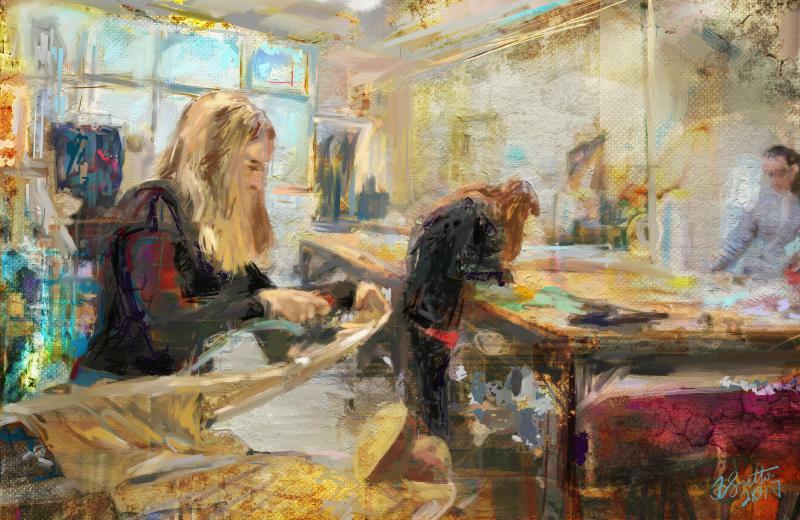 This painting is based on couturiers Sarah and Danielle who share a studio in the same building as my studio. They kindly let me photograph them at work. Using those reference photos I worked with Corel Painter 2017 and a Wacom pen tablet on an iMac. I shall be teaching the techniques used in my upcoming Painter workshop, Corel Painter Impressionism, July 25th – 28th, 2017, in San Francisco.